Mixed domain oscilloscope with four 1GHz analogue channels and one 1GHz spectrum analyser input. It is the ultimate 6-in-1 integrated oscilloscope that includes an integrated spectrum analyser, arbitrary function generator, logic analyser, protocol analyser and digital voltmeter/counter. 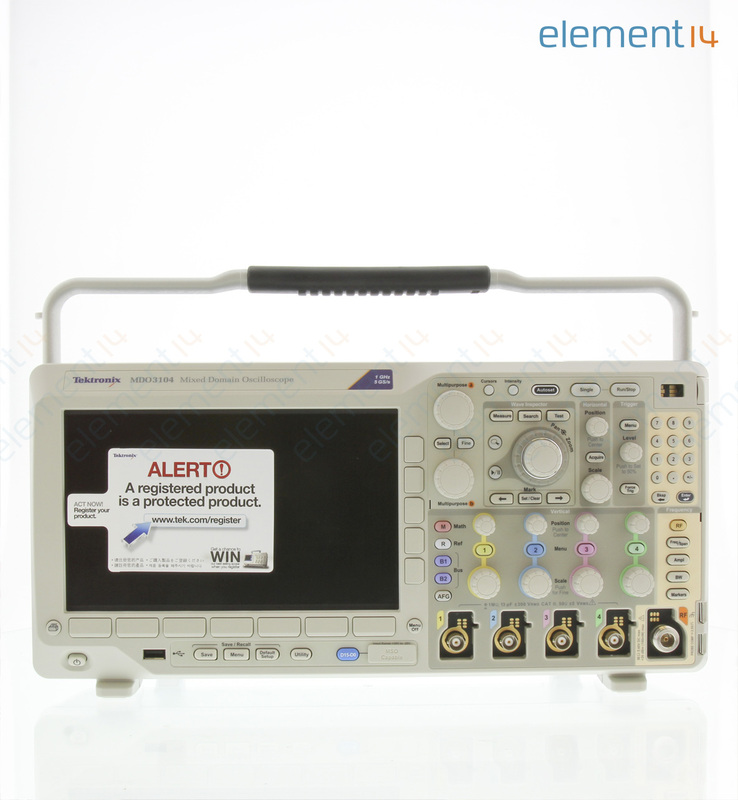 Suitable for design and debug, EMI Troubleshooting and education. 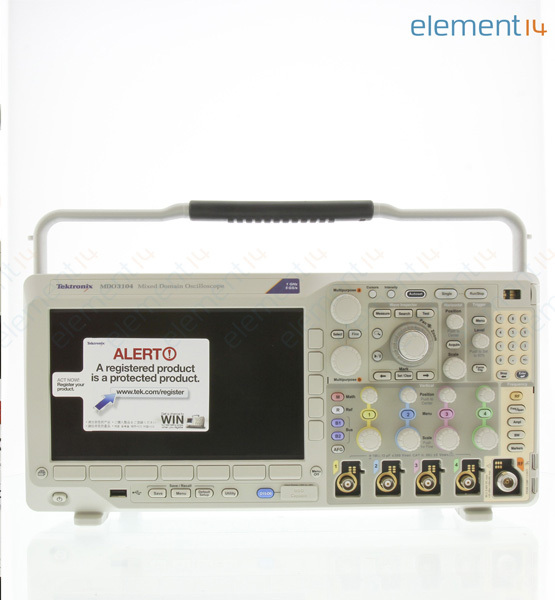 Mixed domain oscilloscope, TPP1000 passive voltage probe, N-to-BNC adapter, Documentation CD (OpenChoice® Desktop Software), Installation and safety instructions, Printed manual (translated in English, Japanese and Simplified Chinese), Accessory bag, Power cord, Calibration certificate.